Politician fighting girlfriend gets death penalty for murder – Royal Times of Nigeria. A Lusaka Court has sentenced a prominent opposition politician to death for killing a guard who tried to mediate in the politician’s fight with his girlfriend. Keith Mukata shot the guard dead as the latter was attempting to separate him from a girlfriend the politician was fighting with. 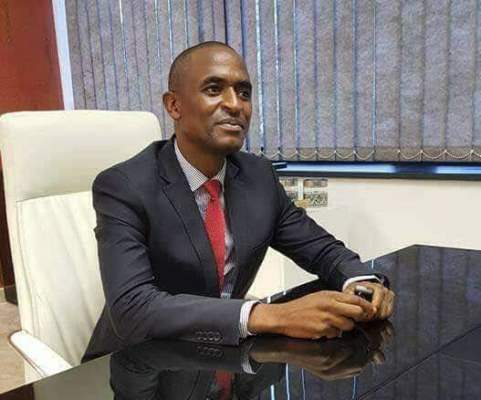 “The Lusaka High has sentenced Chilanga UPND Member of Parliament, [Keith] Mukata to death by hanging after finding him guilty of murder,” Africareview reported. Mukata’s co accused and girlfriend Charmane Musonda, was acquitted due to lack of evidence. The duo was arrested on May 6, 2017 for allegedly shooting to death the security guard, Mr Namakambwa Kalilakwenda. Lusaka High Court Judge Susan Wanjelani was quoted saying there was overwhelming evidence that Mukata killed his security guard. In mitigation Mukata, also a lawyer, asked for a lesser sentence as he was a first offender and has numerous responsibilities. But the judge said there was sufficient evidence that he had intention to kill his security guard. After she delivered judgement in a fully parked court room, there was a chorus of wailing by Mukata’s sympathisers. Zambia has not hanged any convict after the Frederick Chiluba’s regime which ended in 2001, but still maintains the death penalty in its statutes. The sentence has invoked social media comments with some people, including zzaro Skylar expressing awe.